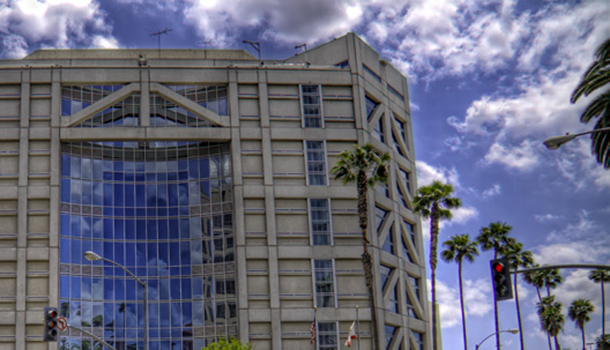 Facing court-ordered caps on its jail population, Riverside County began several years ago to look for ways to change its criminal justice system. Their successful efforts are now getting noticed and were highlighted earlier this month in California's capital, after the county had “achieved many milestones and overcame significant hurdles to systemically improve the culture, efficiency, and effectiveness of its criminal justice system." That remark came from the Administration of Justice Policy Committee of the California State Association of Counties (CSAC) during their 123rd Annual Meeting in Sacramento. Members heard about the work to lower costs through system change and streamlining in the county from a panel that included Riverside County Supervisor Chuck Washington, CEO George Johnson, Probation Chief Mark Hake, as well as several consultants, including Scott MacDonald who leads CA Fwd’s Justice System Change Initiative (JSCI) team. “Riverside emerged as the first JSCI site because we found a host of committed leaders at the county administrative level and across county departments who had a shared understanding about the significant challenges and a shared commitment to do something about them,” said MacDonald. When the system change work began, the county tasked CA Fwd’s JSCI to conduct a jail study to determine who is in jail and why on any given day. The results showed that 84 percent of the jail population had committed non-violent offenses and half of the daily population were there for warrants or probation violations, meaning they were in jail for violating rules, not laws. The results of the jail study showed areas of opportunity where new programs could be implemented to lower the jail population using the new data-driven evidence, while maintaining public safety at the same time. Since the study was adopted by the county Board of Supervisors last year, the Probation Department has implemented new programs such as the Bridge and CORE programs. Additionally, the Behavioral Health Department has partnered with the Sheriff’s Department to provide in-custody care for inmates with mental health needs and provide better linkage to services for those inmates upon release. Develop the data infrastructure, dashboards and indicators to measure cross-system improvements and fiscal remedies. Support systemic solutions consistent with criminal justice best practices. Develop the workforce capacity and skills to sustain, own and operate a data-driven process that produces good outcomes and efficiency in governance. Riverside County consultants KPMG, tasked with auditing and creating budget-saving programs, and LEAN consultant Ken Flaherty, who is working with the Probation Department to streamline processes, also addressed the committee. CA Fwd’s JSCI team has also conducted jail studies in San Bernardino, Santa Cruz and El Dorado Counties. The team is currently working with San Bernardino County on strategies to lower recidivism through reentry programs.